TripAdvisor Still Dominates Hotel Reviews — But for How Long? 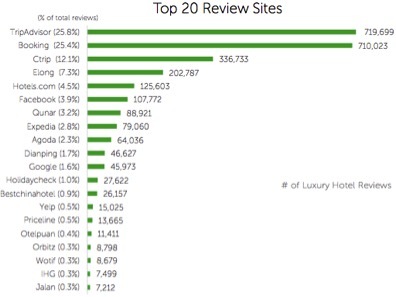 In a recently released study of global luxury hotel rankings in 2015 (produced by reputation management company ReviewPro, and as reported by travel marketing site Tnooz), TripAdvisor and Booking.com remain the dominant review sites for the luxury category. However, while TripAdvisor still holds the top seat, accounting for nearly 26% of all online luxury hotel reviews, Booking.com is nipping at the review-giant’s heels at 25.4%. We could likely see Booking.com overtake TripAdvisor over the course of this year — Booking saw a 28% jump in review volume while TripAdvisor fell from 28% to 26% over the same period. 2015 was a year of major shake-ups in the hotel review scape. Facebook reviews decreased significantly last year, falling from 3rd to 6th, while Asian (specifically Chinese) review sites showed big growth. 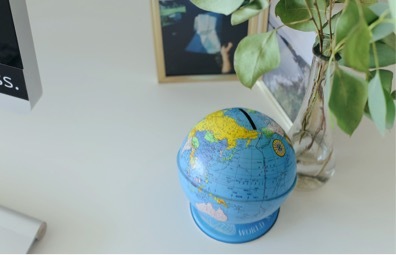 Additionally, a majority of luxury hotels reviewed over the course of 2015 were located in China, which accounted for nearly 26% of global luxury hotel reviews and saw over 46% growth compared to 2014 and over double the amount of reviews as American hotels.